A number of MPs, frustrated by hearing of corruption and by not knowing whom to believe, demanded that the SAP Priority Crimes unit and the Hawks be called in to investigate financial failures and mismanagement of the taxi recapitalisation programme. The department of Transport (DoT) had been called before the portfolio committee to explain the qualifications contained in the AG’s annual report on the department’s financial performance. The renewal without authority of the e-NaTis vehicle registration contract, a further fact reported by the auditor general (AG) in the 2011/2 DOT departmental financials, also gave MPs considerable concern. Indicative of the seriousness of the issue was the fact that the minister of transport, Ben Martins, himself previously a parliamentary chairperson, appeared before the portfolio committee of transport to give assurances that investigations would take place. During the briefing, the deputy director general of transport, DoT, Mathabatha Mokonyama, maintained that the claims made by the auditor general were incorrect insofar as the scrapping payouts made by his department were concerned. He maintained that despite the AG’s qualification that no supporting documents, or any form of accounting documents for any of the thousands of old taxis bought from their owners before scrapping could be accounted for, the claim by the AG was quite untrue despite the lack of documentation supplied. He acknowledged that indeed R2.9bn, the amount under query, of the total of R7.7bn provided since the programme had started, had all been properly recorded but documents simply not provided with the reconciliations to the AG. The AG maintained that the only document that existed was a simple spread sheet of expenditure. The AG’s office, represented by deputy auditor general Kimi Makwetu, also stated that whatever the case no documents to support the disbursements had subsequently been supplied which were clearly asked for. 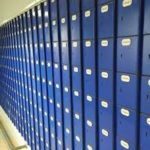 As far her office was concerned, this meant unrecorded transactions had occurred and the department’s performance within DOT on this issue marked as “no information available”. Minister of Transport Ben Martins promised his personal intervention in the matter and that investigations had already started within DOT. During the course of the meeting it was noted that the consultants called were called in some years ago to manage the scrapping programme. 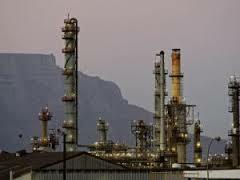 The name was given as the Siyazi Consortium whom, it was stated, had been paid R640m to manage the scrapping programme. Parliamentarians were also told by the AG at the meeting of the irregular extension of the e-NaTis vehicle registration programme, running currently at R1bn over its original contract value of R594m, without any formal tender process or regularity in terms of the public finance management act. Opposition MPs called for a police investigation. The chief financial director, ministry of transport, confirmed during the meeting that neither the ministers of transport or finance were told of the extension by DOT officials but that national treasury had been informed. The minister of transport has now tabled the Transport Laws and Related Matters Amendment Bill in Parliament, the department of transport department having gazetted a notice announcing such intention in early August this year and obtaining cabinet approval for the Bill that month. The Bill provides the South African National Roads Agency Limited (SANRAL) with the necessary legal structures to enforce e-tolling, SANRAL having the responsibilities of planning, design, construction and maintenance of roads in South Africa. However, it became quite clear during the furore that surrounded the announcement of the development of the Gauteng Freeway Improvement Project (GFIP) that SANRAL had neither the competence or legal structure in place for e-tolling in place and that the development was “out of sync” with the necessary legal requirements for both the implementation of e-tolling and its enforcement of a user-pay system. All of this followed the setting aside of an interim order that halted the GFIP and implementation of e-tolling by the Constitutional Court in September 2012. The Transport Laws Bill specifically allows for SANRAL to operate a road network that makes use of “intelligent transport systems” therefore giving SANRAL authority to exercise e-tolling; in effect a response to the constitutional decision. 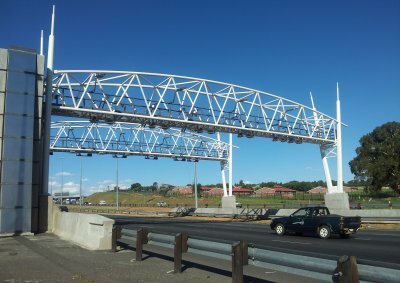 The Bill will also provide more enforcement powers to ensure that motorists pay e-tolls and since SANRAL is responsible for any strategic planning for South Africa’s roads, such which allow the process on a national basis. 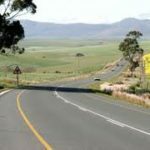 In their recent annual report, the department of transport shows that only 5% of South African roads involve tolling but as minister Ben Martins explained to Parliament, this is a critical area of South Africa’s economic pulse and this particular portion of South Africa’s road network is mainly responsible for South Africa’s economic future. The bill was previously published for comment in March 2010. The memorandum contained in the Bill clearly states that such legal background is necessary for any future road infrastructure development and states unambiguously that the funding of the GFIP is to come from the e-tolls raised from motorists. On the issue of future funding, the memorandum departs from usual legal parlance and states. 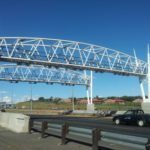 “The non-collection of tolls may impact negatively on the ability of the other State-Owned- Enterprises to raise capital for their infrastructure programmes and thus the need for the Bill must also be seen in the context of Government’s plans to fund its envisaged infrastructure programme”. An inter-ministerial committee and COSATU, the latter objecting to the Bill, have met to discuss their differences. His reply stated that in 2005, when the implementation of the Gauteng Freeway Improvement Project (GFIP) was under consideration, the then minister of transport, Jeff Radebe, required the proposal to be evaluated by an inter-governmental municipality working group. The working group at that point considered the need for the project, policy, project principles and funding options. shadow tolling – no tolls are levied from road users under this approach. Instead, the shadow tolls are paid by government to the operator based on traffic counts on the road, an agreed rate per vehicle/vehicle type and an agreed set of performance criteria. tolling – a user-based funding mechanism for road infrastructure development. 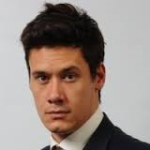 It enables the mobilisation of substantial capital funds upfront, usually through debt equity, for the construction of infrastructure such as freeways. It was agreed at that time that the GFIP would be implemented using the user-pay principle (tolling), the reply states, so that there would be sufficient money on hand to start, the main principle being that with a user-based funding mechanism for development, the mobilisation of substantial capital funds upfront is enabled, usually through debt or equity, for the construction of large infrastructure such as freeways. Toll financing, the minister said in his reply, had the distinct advantage of providing infrastructure earlier than would have been possible with financing through general taxation. As a result, the benefit of increased roadway capacity would be available to the public sooner, he said. In general, tolling is regarded by the ministry, said minister Martins, to be an equitable way of funding large infrastructure projects and did not compromise fiscal integrity. He pointed out that South Africa had a total estimated road network of 740 000 kilometers in the form of paved and gravel roads. 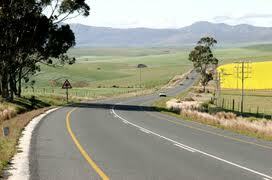 The provincial and national road network comprises 82 000 kilometers of road. In all, only 3120 kilometers of this road network are toll roads. Parliamentary hearings are now to follow.